It does not matter how many precautions you have taken to keep your carpet clean, chances are that there is a lot of dirt, grime and even stains on your carpet! Households with pets or kids would certainly have to clean their carpets more often than the those without pets and kids. We deal with shed hair and stains on our customers carpets and rugs. Since carpets are heavy, sometimes, vacuum cleaning or scrubbing at the stain is unable to resolve the stain or damage. If you are sick and tired of trying to make your carpet look new, we have the right solution for you. 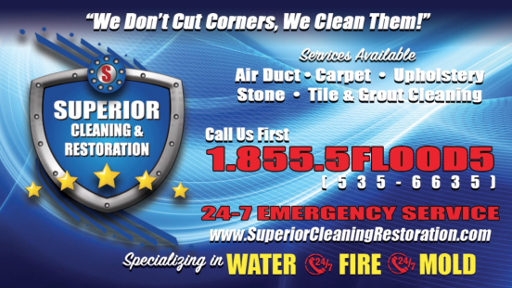 Superior Cleaning and Restoration Inc. Solana Beach is just a call away. We offer the most cost efficient and effective carpet cleaning services in Solana Beach. We use our own special machines and solutions to get rid of stains and dirt in no time. Once complete, your carpet will look like it did the first day you laid it! People usually underestimate the importance of getting their carpet cleaned professionally. Many people think vacuum cleaning the carpet would be more than enough. But vacuum cleaning gets rid of the daily dirt that settles on the top. For a more in-depth cleaning, you need professional services. For years, our experts have excelled at cleaning carpets and rugs, we get stains out of our customers carpets without discoloring, or damaging the original look of the carpet. We provide the most effective carpet cleaning services in Solana Beach and come in at lower prices than you would believe. Don’t hesitate to call us!